Safer currently provides specialist services to support all victims of domestic abuse and their children. Safer supports all victims, regardless of age, disability, gender, sexual orientation, nationality, residential status etc. Our current services include the Guernsey Women’s Refuge, Outreach, Independent Domestic Violence Advisors (IDVA), Children and Young Person’s Independent Domestic Violence Advisor (KIDVA), helpline, Moving On counselling, training, campaigning and awareness raising as well as back office functions. Much of our work is supporting victims and survivors of domestic abuse. This is anyone who has experienced or been subjected to threatening behaviour, violence or abuse (psychological, physical, verbal, sexual, financial, emotional, stalking or harassment) or a pattern of coercive behaviour, inflicted on them by another where they are or have been intimate partners or family members. No one should be the subject of domestic abuse and we try to support everyone, irrespective of age,disability, gender, sexual orientation, nationality, residential status etc. Our services can be contacted by calling 01481 721999. Safer is seeking to enable all islanders to enjoy a life free from domestic abuse, coercion and harm. Everyone should feel safe in their own homes and should be able to live lives free of abuse. · The protection of individuals who have experienced domestic abuse and their children. · Partnership working, collaboration and multi-agency action. Domestic abuse is a violation of the victim’s basic human rights. It stems from inequality and an abuse of power. Safer has a Board of Directors, Senior Manager and fundraising team - Friends of Safer. Safer is an independent, Guernsey-registered company limited by guarantee. All funds raised remain in the Bailiwick. Safer currently receives a grant from the States of Guernsey towards the running of the IDVA Service, Refuge and Guernsey and Alderney Child Contact Centre. It relies on the support of the local community, from corporate donations, fund-raising events and flag days. Thanks to a 3 year grant from BBC Children in Need, Safer has been able to appoint a second Children and Young Persons Independent Domestic Violence Advisor (KIDVA). They will help children who live in families where there is domestic abuse or young people who find themselves in a relationship where there is domestic abuse. Unfortunately Safer can only help children and young people at the highest risk. With this additional post more children will be supported, provided with their own safety plan and be helped to improve their relationship with their non-abusive parent. Safer is very grateful for the continued support of BBC Children in Need which will help expand this service. Safer supports victims of domestic abuse and their children and is the charity that runs the Guernsey Women’s Refuge among other services. 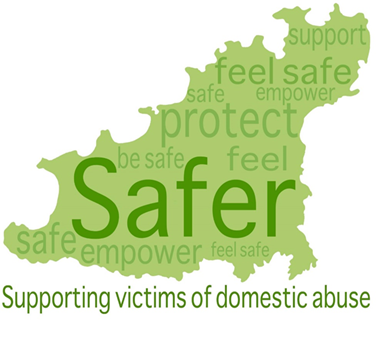 Safer is looking for volunteers who would be able to commit to helping out at least once a month at the Guernsey Women’s Refuge supporting women and children who are victims of domestic abuse. This may be to stay at the Refuge during the evening or overnight or to answer helpline calls in the evenings and at weekends. Full training will be given and a full DBS check will be required. Due to the nature of the Refuge we would only be able to take female volunteers for this type of role. Please email carol@safer.gg if you would like to find out more. Gardener / maintenance / handyperson. Safer would like to hear from anyone who has time to do a spot of weeding, painting, general odds and bods and maintenance. This might be at the Refuge or other properties. If you are just interested in gardening or only want to do painting just let us know and we can make arrangements to fit with your talents. Please contact email carol@safer.gg if you can help. We are looking for people who would like to join Friends of Safer. If you would be happy to help out at events, have ideas for events, or want to donate your time to help fundraising this is for you! Have fun whilst helping others! For further information please email carol@safer.gg. The Guernsey and Alderney Child Contact Centre provides supported contact by providing a safe space where children can meet their parent(s) they don't live with. We are looking for new volunteers who are enthusiastic about working with children and young people to help on Saturdays between 2pm – 4pm with supported contact sessions. You would be required to commit to helping out once every 3 – 4 weeks. Full training will be provided. A full DBS check will be required due to the nature of this work. If you want to find out more please email carol@safer.gg. White Ribbon Day is an International campaign to stop violence against women. Safer will be holding a flag day on Saturday 25th November, which is the International Day for the Elimination of Violence against Women. This also marks the start of the 16 Days of Activism against Gender-Based Violence Campaign which ends on the 10th December, Human Rights Day. This is a time to galvanize action to end violence against women and girls around the world. Here it is a time to help put an end to domestic abuse of all kinds in Guernsey, Alderney, Sark and Herm. It also helps Safer to raise funds to support victims of domestic abuse locally regardless of gender, age, sexual orientation, ethnicity, religon, disability or other characteristic. If you would like to help by being a flag seller please email Sue on events@safer.gg.